You can create the Trade of specific Scrip and Month. First select Scrip then Broker and month,Year. The Expiry Date will be generated automatically. Scrip Name Select scrip here. 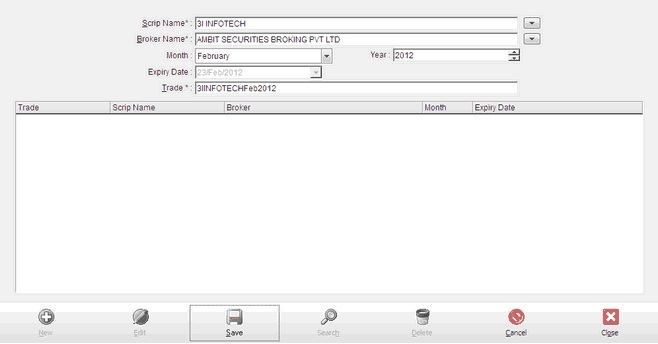 Broker Name Select Broker Name here. Month Select Month of F&O. Expiry Date Expiry date automatically generate.